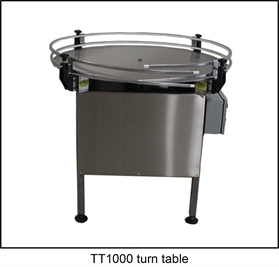 Turn Tables are used to accumulate product at the front or end of the line. 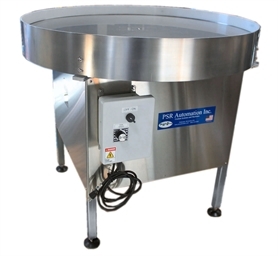 Our large 42" diameter stainless steel disk allows for 1385 sq-in of accumulation. The stainless steel frame and guards resist corrosion, and is easy to clean. Custom sizes are available.